The Non-Surgical Permanent Weight Loss Solution That Works. 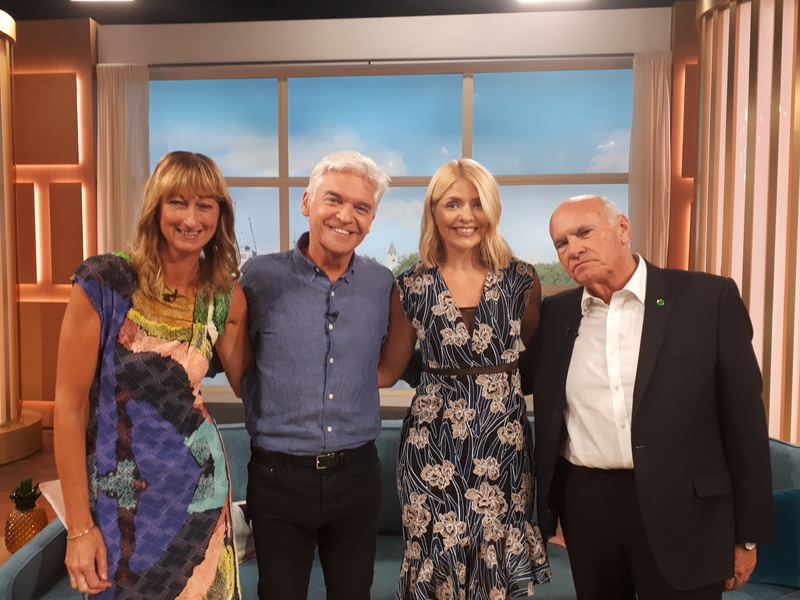 Martin and Marion with Holly Willoughby and Phillip Schofield on This Morning. The Psychology-based Gastric Mind Band® (GMB) weight loss treatment, is focused around Cognitive Behaviour Therapy. Delivering Non Surgical Permanent Weight Loss that works. We also incorporate our own unique 'Twist' to CBT, which is called TCBT, a proven, fast-acting, therapeutic aid to creating change in people's lives. 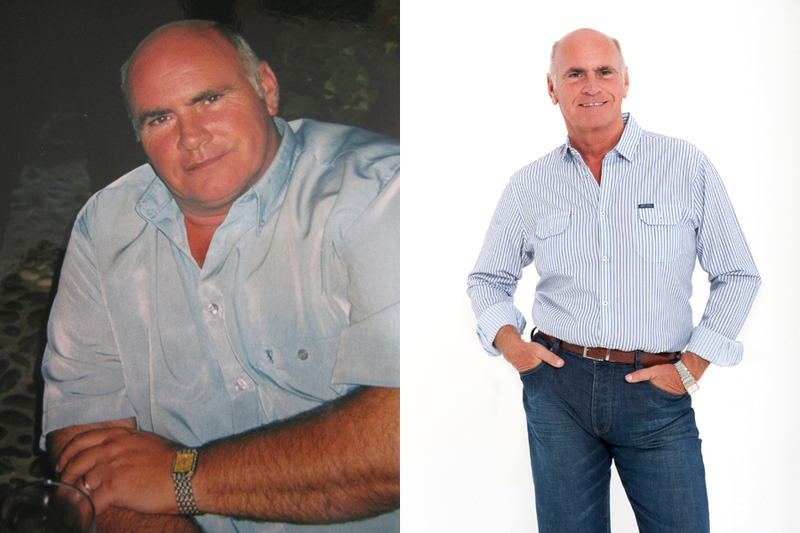 Where appropriate, the treatment is underpinned with Weight Loss Hypnosis Hypnotherapy. The GMB treatment is normally completed over either three or four days, depending on the treatment package chosen, at the Elite Clinic in Fuengirola, Spain. It has literally changed the lives of hundreds of men and women, from all over the world, and from all walks of life; and it can change your life as well. Read on this website about how the Gastric Mind Band Treatment strives to deliver what is surely Utopia for dieters... Effective Weight Loss, using Empirically Proven Psychological Interventions, underpinned with weight loss hypnosis, that produces permanent results. A safe, effective and non-invasive alternative to surgical interventions. Today the Gastric Mind Band® which incorporates the very latest in Psychological Advances, many of which are unique and exclusive to the Elite Clinic, is regarded as the Gold Standard in Permanent Weight Loss. The GMB process incorporates hypnosis and hypnotherapy in the treatment mix, which provides a non-Surgical Permanent Weight Loss Solution. The results compare favourably to the surgical alternatives at a fraction of the costs, with non of the associated risks or hospital visits. As featured in the media worldwide, the cutting edge treatment has been continually refined and improved during a decade of research, development and extensive client trials. But after ten years of speaking with clients, we know the two questions on your mind right now will be: "Does This Work?" and "How". We encourage you to visit the How It Works page where we explain everything in detail, including directing you to the Clinical Evidence. There are over a hundred pages of information on this site, but if that is too daunting, just drop us an email or pick up the phone. We are waiting to answer your questions and help you achieve the permanent weight loss you deserve. The treatment will deliver Non Surgical Permanent Weight Loss that works. Additionally, in the 'Blog' section of the site you can read the un-edited diary of Lauren Dawkins, a recent client at the clinic. If you still need more convincing we are happy to put you in touch with past clients for you to contact. There’s no smoke and mirrors, no strict diet plan, and no exercise regimes to follow. Martin and Marion Shirran, who will be providing your treatment, in addition to having completed over 8,000 hours of one to one therapy time, are the authors of the two best-selling books on the subject published worldwide by Hay House, Gastric Mind Band and Pause Button Therapy no one is better positioned to help you achieve your weight loss goals. You can obtain copies of the books from Amazon via our Shop Page. But don't take our word for it; click here to read a selection of reviews written by clients who have achieved weight loss following the treatment. Non-Surgical Permanent Weight Loss Solution Helping people to successfully lose weight is a complex task, requiring a careful fusion of empirically proven interventions. It's a fact that each new client arrives at the clinic with their own, unique set of issues and problems, which have usually all played a part in them having developed an unhealthy relationship with food. As a result, each client requires, and receives, a completely personalised treatment plan. With the GMB treatment you don’t have to consciously limit what you eat to lose weight. By getting your mind and body working together and changing your relationship with food so you no longer want to overeat, weight loss is no longer a struggle, it almost becomes natural. That’s hugely liberating and that’s what the Gastric Mind Band® is all about. It delivers just what it says: Effective Weight Loss. Our research has repeatedly shown that instigating change in a person, especially in the field of weight loss, is best achieved not by one approach alone, but by combining a number of different therapies and approaches. Alison before and after GMB. We use Cognitive Behaviour Therapy, Neuro-Linguistic Programming and our very own registered version of Cognitive Behaviour Therapy, TactileCBT, which was developed at the Elite Clinic, along with Mindfulness Techniques, each underpinned, as and when required, by Weight Loss Hypnosis Hypnotherapy. The treatment has been further enhanced following the new and exciting research in the field of Neuroplasticity. All of our treatments are based on many years of research and development exclusively in the weight loss arena. For a full breakdown and explanation of the therapies we use, some developed in house, please visit the Therapies Used Page. Our goal is to help, guide and inspire our clients, ensuring they incorporate our proven methods into their lives and reach their desired weight and size. We deliver Non Surgical Permanent Weight Loss that works. 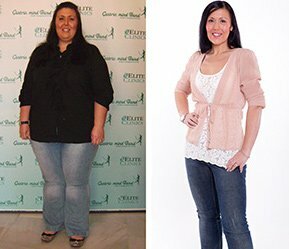 Kay lost over 7 stone. Effective Weight Loss. As a client you will undergo a completely personalised treatment programme, to ensure you achieve your individual weight-loss goal. Throughout the sessions Martin and Marion will work with you to inspire and guide you on your weight loss journey. Using the exclusive Elite Clinics GMB Forensic Questionnaire, they will develop an in-depth understanding around your issues with food and any past dieting attempts. Maintaining ongoing support and contact with clients following their GMB treatment is essential, so the clinic will remain in regular contact when you return home, monitoring your ongoing progress, and if necessary arranging a Skype-based session. In addition, you will be able to elect to have regular follow-up sessions, via Skype if you wish, to reinforce the treatment and ensure you remain on track to reach your goals. There are a number of ways that you can experience the unique Gastric Mind Band Treatment, each are detailed in the Treatment section of the site. We offer the Standard and Premium Level clinic based GMB. We offer the VIP Five Star and Weight Loss For Brides Exclusive Package. We offer the GMB via International Home Visits. Please phone or email the clinic for prices and availability. We offer two levels of Skype based GMB. Standard Skype Treatment and Premium Level Skype Treatment. We offer a dedicated GMB for Teens package. 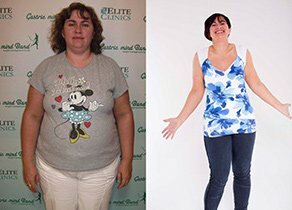 Whichever treatment plan you choose, you are assured a high level of personalised support to ensure you permanently change your relationship with food and overcome the often expensive cycle of struggle, failure and despair to achieve the weight loss you desire, in a happy, healthy way. The GMB will deliver Non Surgical Permanent Weight Loss that works! You can book your Life Changing GMB Treatment today by visiting the Appointments Page. The Daily Mail. Two weeks later she wrote a two-page feature in the Daily Mail detailing her treatment that literally got the world talking. Read the article from the Daily Mail Newspaper here. Martin and Marion were invited to New York to appear on a Good Morning America TV special regarding the Gastric Mind Band. Visit the Press Section to view the video clip." Late Booking. Gastric Mind Band Appointments. Availability at the clinic as you would expect varies throughout the year, ranging from a few weeks to a few months. However the occasional cancellation or rescheduling of a pre-booked clients itinerary will sometimes result in last minute availability, prospective clients are invited to contact the clinic for details of available treatment dates. You can find additional information regarding flights and accommodation, by visiting the FAQ section. Should you require any additional information or if you would prefer one of the clinics team to telephone, please email us, we will be pleased to arrange this for you. Please email us today using the contact form and we will be pleased to answer any outstanding questions you may have. 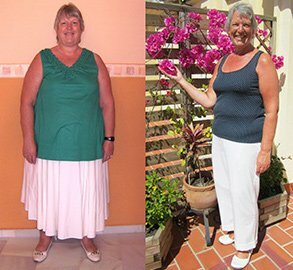 Visit our Weight Loss Clinic in Spain. Hypnotherapy to change your relationship with food.